Andrea Pirlo has admitted he stole free-kick “secrets” from former Real Madrid and England maestro, David Beckham to help improve his already world-class ability on set-piece. 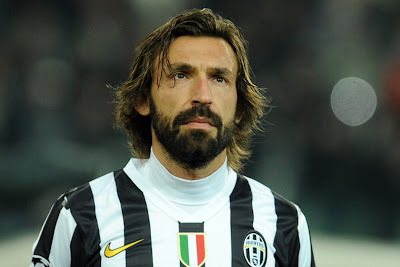 Pirlo is heading into retirement at the end of his New York City FC contract. The Italian international was regarded as one of the finest midfielders on the planet while at the peak of his powers. Pirlo, who represented Juventus and AC Milan, won just about everything at the top of the game –including the 2006 World Cup. Speaking with L’Equipe, the veteran midfielder said, “When I was a kid I’d take a small foam ball and try to get my shot over the couch so it would finish in the corner of the window. “At Milan we had [David] Beckham, Ronaldinho, [Clarence] Seedorf… a lot of good kickers. We talked to each other, we watched each other and we stole each other’s secrets. “I used to watch Juninho’s free-kicks without being able to figure out how he hit them. I tried and tried, until eventually I came up with my own way to strike them. Asked for his free-kick secrets, the 38-year-old added, “I’d tell myself it was impossible not to score. “It was enough just to get the ball over the wall and it was a goal. In football, like in life, there are always millimetres which can change things, the course of a goal, or of a life. “It’s a sign of destiny, a natural talent which my parents gave me. To come in front of the ball, find the right position… it always seemed so simple to me, but it might not be for others. “It’s completely natural, I’d do it without even thinking about it. “I had to prepare the moment perfectly. I didn’t want the ball to be dirty. I wanted it to be clean, beautiful. So I cleaned it before I shot. “I didn’t quite hit it with my instep, or even the inside of my foot, it was more the two toes at the tip of the foot.